You are currently browsing the category archive for the ‘Historical event’ category. Here’s a map showing the home locations of the finalists in the 2008 Stockholm Challenge. There are some great ideas and great works going on all over the globe, and I’m looking forward to meeting some of them in Stockholm next week and exchanging some knowledge. Plus: Corrina McFarlane (Bodi Lane in WWO) pinged me on Saturday, which was Pangea Day – an exciting day of global connection. She’s collected reader comments on her blog. Now if the oil-producing nations of the Middle East began to invest in alternative energies, would that signify anything, do you think? Listen closely to the reason that Tom Petrie gives for why he thinks oil prices will decline in the next months: “Look, this economy can’t take $100 a barrel oil right now.” Which might be compelling to oil sellers, if we were the only buyer in town. Isthisnotagame? Thanks to Leanan for posting the video. Continuing a theme I started in January – is the WWO scenario coming true, but slowly? In the news today: retail sales sink as consumers wrestle with rising fuel and food prices; GM announces gas-guzzler incentives to try to move stock in the face of an industrywide slump; major airline shakeup brewing, in the wake of plunging share prices due to skyrocketing fuel prices; and the foreclosure crisis in suburbs continues. These are all headlines pulled right out of the events in last year’s World Without Oil oil crisis scenario. Also today, Congress approved an economy boost package of $152 billion. Compare that dollar figure with the estimated economy drag of last year’s oil price hikes – $150 billion, as reported earlier here. In other words, the boost is calibrated to counter the damage being done by last year’s oil prices. What will happen this year? Sooner or later, we’re going to stop being able to spend our way out of the problem, and will need to address the underlying causes. I’m cribbing today from these notes that Doug Foxgrover made of a talk by Henry Jenkins, transmedia/new media guru at MIT, at Educause. The talk was on “What can Wikipedia teach us about new media literacies?” The talk itself is podcasted here. The new media literacies are social skills and participation skills, and there’s nothing like a shared crisis to get people talking and working together – even if that crisis is of the “what if?” variety. Three other things in Jenkins’ talk resonated with me: one, you must take the students’ participation seriously – it must matter. In WWO we pretty much let our “students” drive the bus, to really good effect I think. Two, you should let the participation emerge from students’ own cultural life – again, something WWO explicitly did. And finally, Jenkins identifies a core challenge as ethical: as the traditional forms of professional training (such as journalism) break down, how do you prepare ordinary citizens, and young people in particular, for their increasing role as participants? This is exactly the big deal about WWO, I think: to democratize real-world problemsolving, to empower people to collectively forge their own solutions. Jenkins lists “four big ideas”: Collective intelligence, Judgment, Networking and Negotiation. And cites WWO as an example of the first big idea. WWO Lives! 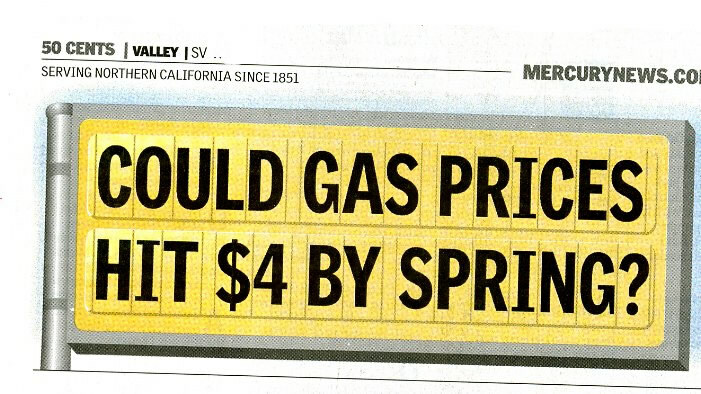 In other news, the price of oil – not. Anyone else noticed how it has completely fallen off the news radar lately? Article by Bob Keefe begins as follows: “Federal and state energy officials are planning a major investment in new technologies in an attempt to make Hawaii the nation’s first state to get the vast majority of its energy from renewable sources. U.S. Department of Energy officials are expected to announce the unprecedented plan Monday, just before the opening of a U.S.-sponsored international summit on climate change in Hawaii.” If serious, this would be a sea change indeed: as WWO players might remember, Hawaii gets 90% of its energy from petroleum, and thus is on the end of the whip (or is the canary in the coal mine, pick your metaphor) when it comes to oil price increases and shortages. So, yeah, it’s the logical first choice to play Lindsay Lohan and check herself into rehab for oil addiction. Our web guy, Mark Bracewell (aka Yucky Muck) pointed my face at this one: www.ushahidi.com, a crowd-sourced citizen nerve center plotting incidents of violence in Kenya. The site receives reports via SMS from cell phones, plots them on the site, and then NGOs in the area check them for accuracy. It’s a fabulous use of technology to counter a crisis, and I’m corresponding with the Ushahidi folks just in case there’s anything valuable in the WWO experience that they can apply to their humanitarian efforts.